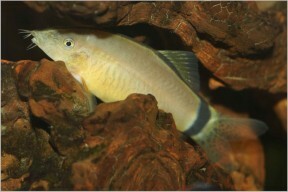 This species is among the more-commonly-traded botiid loaches. 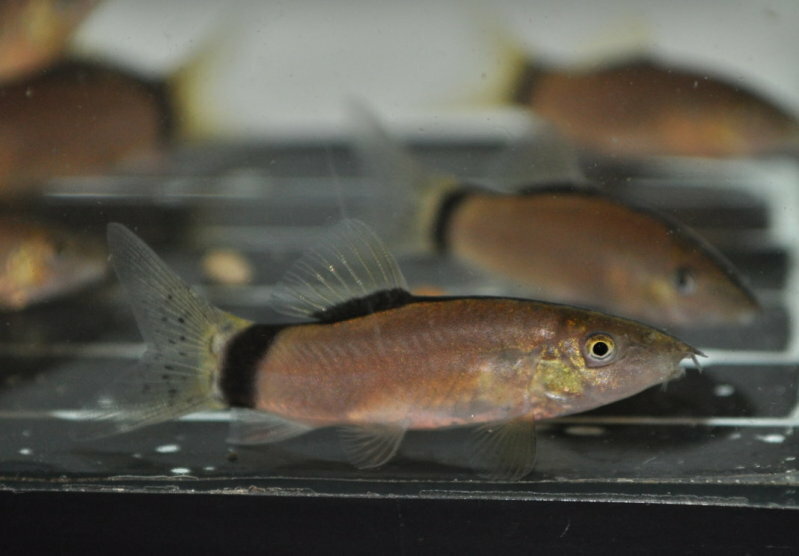 Juveniles/subadults typically possess a series of dark, vertical bars on the body which fade as the fish mature. ...and these specimens are older still. Described from a tributary of the lower Mekong River system in Samraong Tong district, Kampong Speu province, Cambodia, but since recorded throughout the middle and lower Mekong in Thailand, Laos, Cambodia and Vietnam plus the Chao Phraya and Mae Klong drainages in western and central Thailand. The majority of those seen on sale in the shops will have been farmed commercially for the purpose, though. According to Rainboth (1996) this species can be found in both standing and flowing waters where it exists among crevices between or digs underneath rocks and submerged objects such as tree roots. It undergoes seasonal migrations as part of its life cycle and can thus be found in various habitat-types depending on the time of year, from main river channels to smaller tributary drainages and temporarily-flooded zones. It co-occurs with Yasuhikotakia lecontei, Y. modesta, and Syncrossus helodes across much of its range and in a survey of the Mun River conducted in Surin province, northeastern Thailand was collected alongside a host of other fish species including those three plus Acantopsis choirhynchos, Lepidocephalichthys hasselti, Barbonymus altus, B. gonionotus, Cyclocheilichthys apogon, C. repasson, Discherodontus ashmeadi, Epalzeorhynchos frenatum, Esomus metallicus, Hampala dispar, H. macrolepidota , Mystacoleucus marginatus, Barilius koratensis, Osteochilus hasseltii, Raiamas guttatus, Rasbora borapetensis, R. dusonensis, R. rubrodorsalis, R. trilineata, Systomus orphoides, ‘Puntius‘ partipentazona, Gyrinocheilus aymonieri, Trichopodus pectoralis, T. trichopterus, Trichopsis pumila, T. vittata, Pseudomystus siamensis, Mystus singaringan, Kryptopterus cryptopterus, and Mastacembelus favus. For long-term maintenance an aquarium with base measurements of 120 ∗ 30 cm or equivalent should be the smallest considered. While Yasuhikotakia spp. appear chiefly carnivorous they will also eat vegetative matter if available, often including soft-leaved aquatic plants. The naturalk diet comprises aquatic molluscs and other benthic invertebrates. 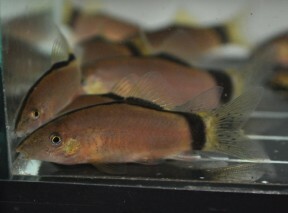 Although Y. morleti displays similar behaviour to most other members of the genus it can be combative, tending to nip fins and generally harass tankmates, especially when maintained in smaller groups. 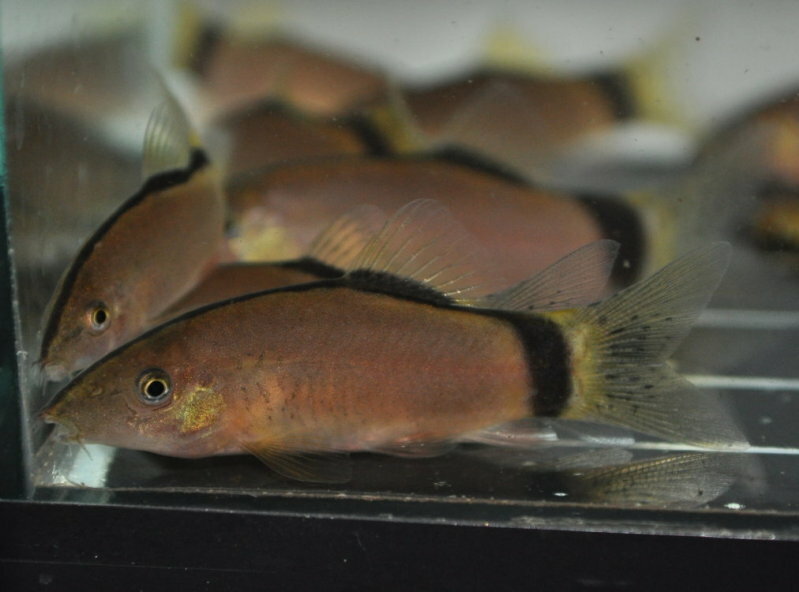 While the intensity of such aggressiveness varies to an extent depending on the individual this species is nevertheless only suitable for larger, well-structured community aquaria containing other robust fishes. Even then slow-moving and/or long-finned species should be omitted with active, pelagic cyprinids such as many Devario, Rasbora, Puntius, Barilius, and some Danio spp. representing the most suitable choices for the upper levels. In terms of other loaches it’s proven to coexist successfully with other Yasuhikotakia species, plus more robust Botia such as B. almorhae or B. kubotai, and all members of the genus Syncrossus. Some cobitid and nemacheilid loaches are also possibilities as are Epalzeorhynchos, Crossocheilus, and Garra spp., plus certain catfishes. Sedate, peaceable bottom-dwellers such as Corydoras spp. are best avoided though, and as always thorough research prior to selecting a community of fishes is the best way to avoid potential problems. When kept singly they can become withdrawn or excessively aggressive towards similarly-shaped fishes, and if only a pair or trio are purchased the dominant individual can stress the other(s) to the extent that they stop feeding. 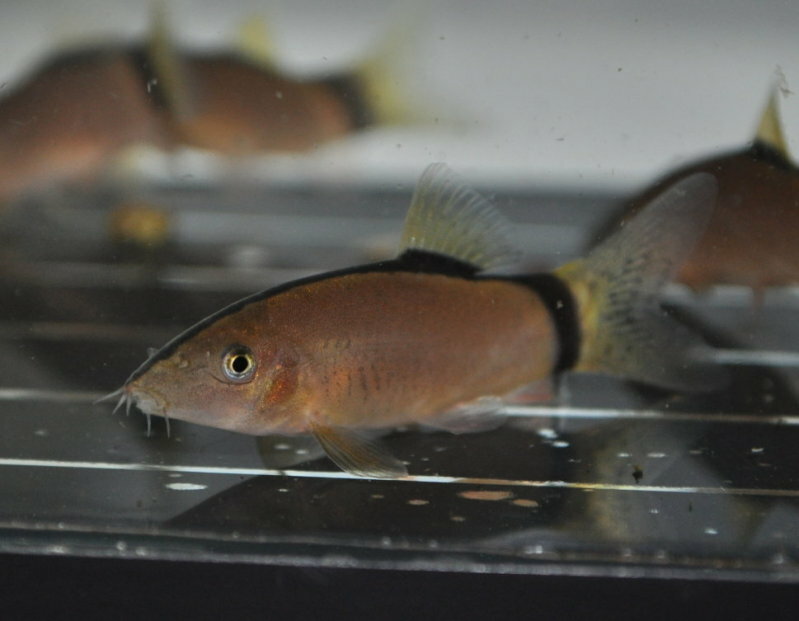 Some Yasuhikotakia species, including Y. morleti, are farmed commercially for the hobby via the use of hormones but reports of breeding by private aquarists are unheard of, possible because the majority are seasonal, migratory spawners in the wild. Juveniles have a series of dark, vertical bars on the flanks which fade as they reach maturity and in the lower Mekong basin apparently migrate from tributaries and flood plains into main river channels around the months of November and December each year. This species is common in the hobby and also sold as ‘skunk botia’ or ‘Hora’s loach’, the latter in reference to Botia horae Smith, 1931, currently considered a synonym of Y. morleti. 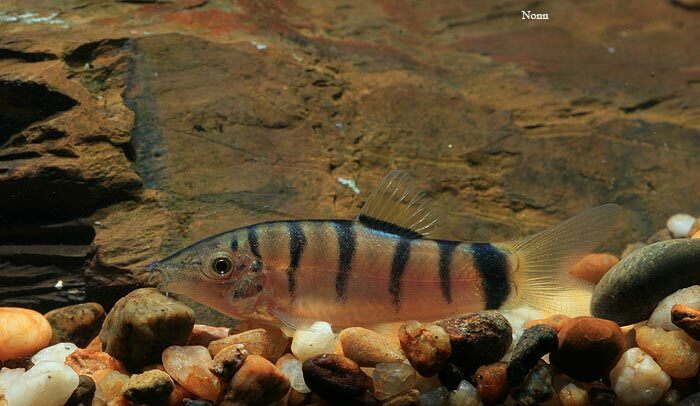 It’s similar in appearance to the rarely-seen Y. longidorsalis but can be told apart by the fact it has a dark stripe running over the dorsal surface (this giving rise to the vernacular name ‘skunk loach’) which is lacking in its relative. The two can be further separated by the following combination of characters: vertical bars on flanks present in juveniles/subadults only (vs. present throughout life in Y. longidorsalis); 7-9 branched dorsal-fin rays, usually 8 (vs. 9-10); 28-30 total vertebrae (vs. 30-31); 9 predorsal vertebrae (vs. 10); longer snout measuring 50.3-55% of head length (vs. 48.5-51.3%); larger eyes with orbital diameter 19.4-21.5% of head length (vs. 14.5-17.7%); shorter suborbital spines measuring 23.1-28.0% of head length (vs. 29.6-34.4%).